Cafe Avanti hosts parties of up to 100 people. There is a private dining room that accommodates up to 40 guests, and a semi private dining room for 16. Established in 1989, Cafe Avanti is in a league of its own. Fine traditional Italian cuisine in a relaxed atmosphere. It's family owned and operated, and home away from home for Miami Beach locals. The staff is welcoming and hospitable, and are sure to make you feel like a regular even as a first time guest. Chef Constantino Cadavid has been at the helm of Cafe Avanti for over 21 years. It's reputation for consistency is like no other. 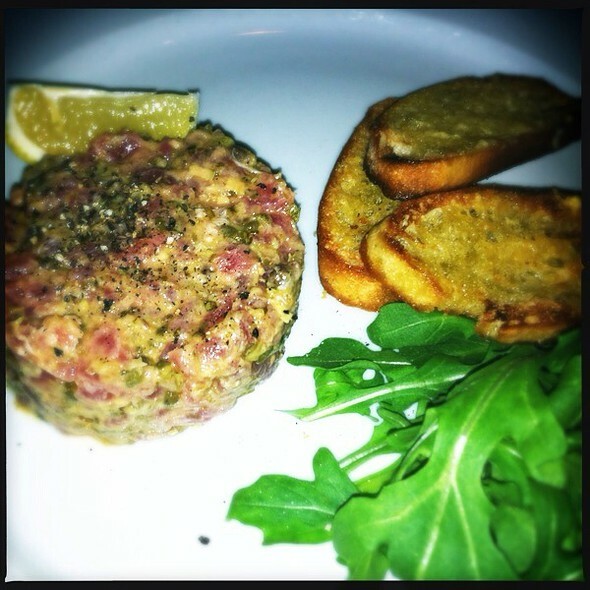 From veal meatballs and tuna tartare, to osso bucco and frutta di mare, every dish is absolutely decadent. Desserts are homemade & the ricotta cheesecake is the best you will ever have. Parking is easy and meters are turned off at 6pm. 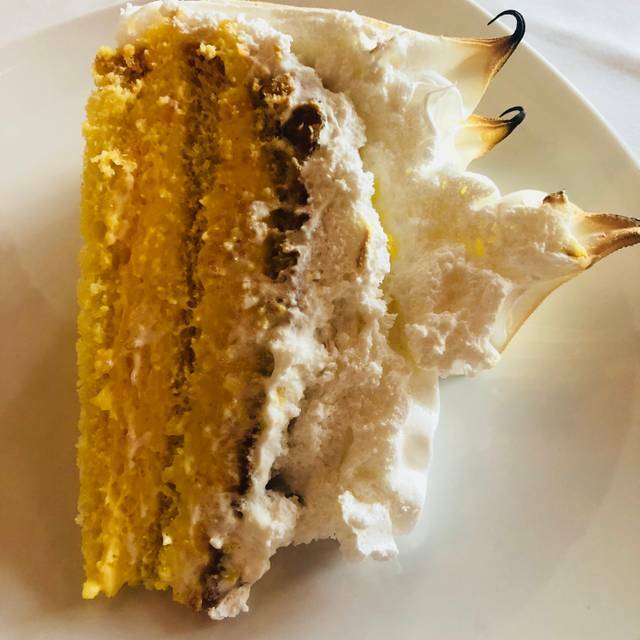 Whether you sit at the bar, cozy brick room, a romantic table by the window, or have a large party, Cafe Avanti will provide you with the perfect experience that you are looking for. Chicken broth, egg drop & spinach. White canellini beans, prosciutto & pastina. Fresh arugula with marinated chopped tomato & fresh mozzarella. Baby greens with gorgonzola cheese & apple in champagne vinaigrette. Assorted dry italian meats & imported cheese. 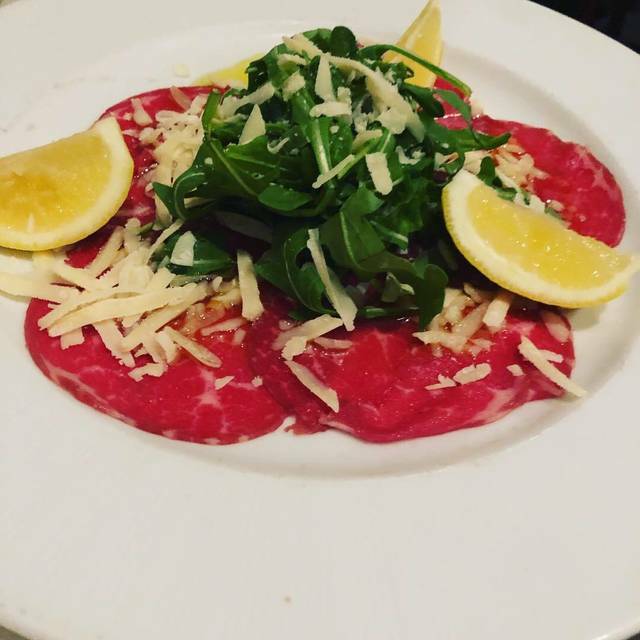 Sliced filet mignon topped with arugula & parmesan. Sliced salmon, shaved fennel, lemon & capers. Fresh mozzarella,beefsteak tomato&basil with a balsamic reduction. Onions, capers, ginger, lemon & cilantro, with garlic croutons. 2 to an order, italian style over marinara. Angel hair with tomato & basil. Pancetta bacon & cream sauce. With ricotta cheese & spinach. Rolled fresh crepe with veal & spinach ricotta. Cream, prosciutto, mushrooms & cheese. Eggplant baked with ricotta cheese & tomato sauce. Shrimp, leeks, sundried tomatoes . Sauteed with lemon & white wine served over spinach. Topped with prosciutto, eggplant & mozzarella in a light brown gravy sauce. Veal scaloppini with Shiitake mushrooms & marsala wine. Veal scaloppini with a lemon, White wine & butter sauce. 16 oz. new york sirloin marinated in olive oil, rosemary & garlic served over sauteed spinach & onions. Domestic colorado lamb chops marinated & grilled. Whole grilled baby chicken with a garlic & white wine sauce. Sliced potatoes sauteed with onions until crispy Asparagi au gratin Fresh asparagus with melted reggiano cheese. Sauteed in warm olive oil with chopped red pepper & onion. Herb roasted with potatoes, tomatoes & olives. With white wine, capers & mushrooms. Stuffed veal chop with prosciutto & fontina. Spicy maine lobster over spaghetti. Osso bucco 40 slowly cooked veal shank, in its own brown gravy over fettuccini. This was our second visit to Miami and our second time at Cafe Avanti. I’m so glad we chose to come here again everything was fabulous !! We had appetizers and entrees it was all delicious !! Only regret was we were too full to finish it all. 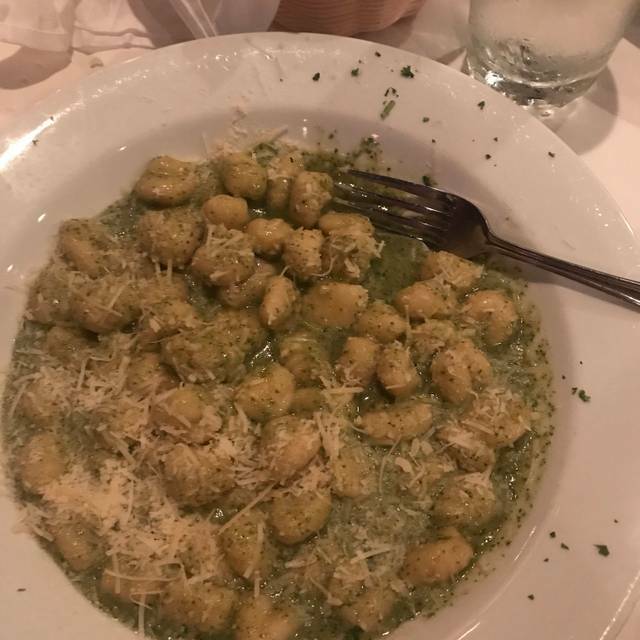 Real Italian food . My favorite restaurant in Miami. Consistently excellent. We found this off the beaten path, locally recommended place. Such a gem! And so great after eating at many of the restaurants, which were good but overpriced and not exceptional. The food was excellent at Avanti, as was the ambiance. Service was great and very friendly, wonderful recommendations from our server Desi. Loved it. It's on a main road, not near the water, but within walking distance to many of the mid-beach hotels. Definitely recommend. THE FOOD WAS AMAZING! I had a dinner salad with the house dressing, lasagna bolognese, and the tiramisu. Everything was absolutely delicious! 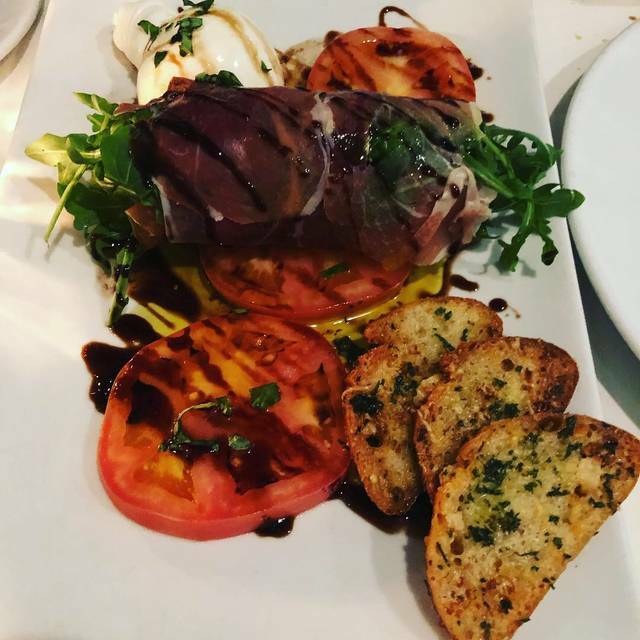 Cafe Avanti serves traditional Italian food with excellence. Salads, pasta and fish were terrific. This is a great Miami Beach local place. Excellent, reasonably priced Italian, with good service and a neighborhood touch. Cafe Avanti is a good value, the prices are reasonable and there's a lot of food. Our waiter, Desi, was very helpful and personable. The venue is pleasant enough, though the noise level on a Friday evening was a bit high. 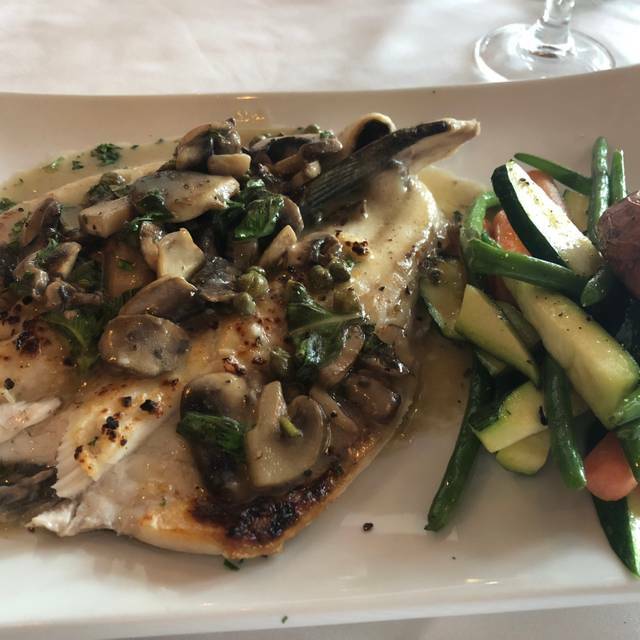 Avanti's main issue is that its food is average. We had the eggplant parm, which, again was plentiful, but tasted only so-so. (It was so large, we were glad they didn't serve spaghetti with it.) We also had the linguini with clams. Another large plate with plenty of clams, but not much panache or taste. The calamari appetizer wasn't bad, but seemed to be frozen and defrosted, not homemade. The wine list was plentiful, as were the prices charged. The pour was average to plentiful. In a pinch, Cafe Avanti will do for a filling meal at a good price (the prices just a few minutes away in Mid Beach are much higher). It's not special, though. Great meal, service, and value! Would definitely go back! Looking for something off of Collins Ave, came up on Open Table. Great find! Good food, good prices, nice local atmoshphere, and great service. The appetizers were fabulous. My husband had the chicken parm and I had the cheese raviolis with spinach, both were very good. Desi our server was excellent. Very friendly and attentive. Overall a very good experience. Normally, I would give this restaurant higher ratings, because it is one of my favorites. However, on this particular evening, they were serving a restricted menu because of a special event that was happening in town. And as for the restricted menu, there were multiple items on it that were not available. This effectively restricted our dinner choices significantly. In the future, I would recommend to the restaurant that it not make assumptions about the kind of crowds it will receive in connection with special events. There is little reason to penalize local regulars because of a concern about tourists. I found this place on Yelp and it was beyond my expectations. It is mostly locals and everyone was extremely friendly and welcoming. Food excellent service good. Definitely go back when in Miami Beach. I've come to this restaurant several times over the past two years and its quickly become my favorite restaurant. The food is outstanding, service is excellent and prices are more than reasonable. 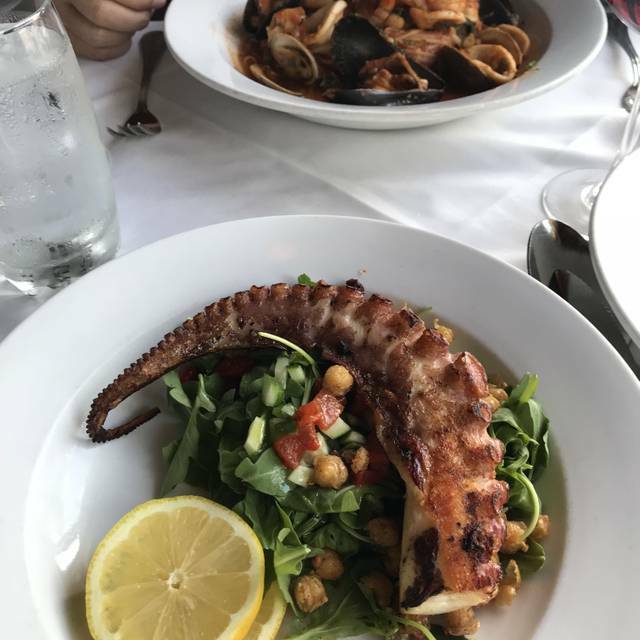 Cafe Avanti has the atmosphere of a neighborhood type of place (where everyone knows your name) but the food - both in terms of quality and variety - and service compares favorably with the big name (and high priced) restaurants scattered all over Miami Beach. I have never been disappointed, which is saying something for an old curmudgeon like me. Food was very good. Service was good. Very attentive when we arrived. Cage Avanti is a very dependable neighborhood restaurant. The service and food are always really good and the family that owns the restaurant makes you feel very much at home. It is one of the few neighborhood restaurants on the beach. I would highly recommend it. Always very good with traditional and great service. Went to Cafe Avanti as they had gluten free options. The GF pasta was a penne and it was very nicely cooked al dente and the carbonara was delicious. I had a very nice glass of Chianti’s as well. We will definitely tmreturn to this restaurant. My wife and I experienced excellent service from Jesus and a delicious meal at Cafe Avanti. We will be back the next time we are in Miami Beach! Great food and very friendly owners. Very involved. Cafe Avanti is a great hidden gem in Miami Beach. 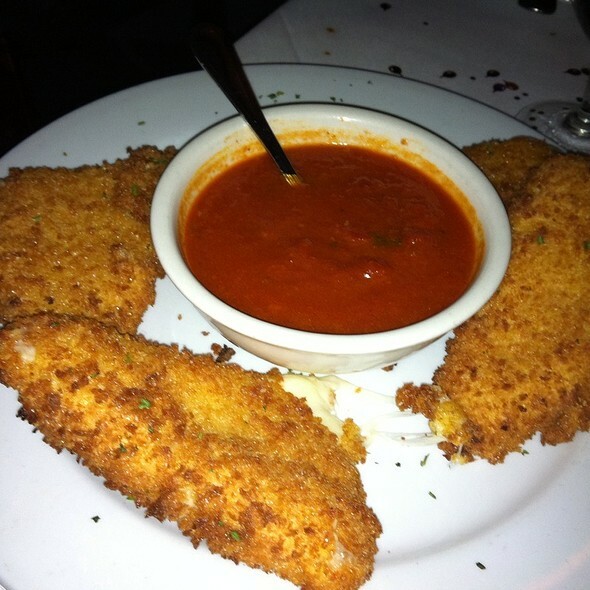 Located on 41st St, CA offers delicious & authentic Italian cuisine with a beautiful ambience. Romantic setting for a date, excellent service, good wine selection. Highly recommend! Outstanding as always. Really wonderful Italian food, with generous servings all tasting wonderful. Good wine selection (mostly Italian). Great desserts (including Tartufo, which is my favorite). Service - this time by Desi - is fantastic. I hesitate to write this glowing reviewing only because it might induce others to come here and so make it harder for me to make a reservation. This was our first time here but I knew this restaurant had been here for many years. It did not disappoint. Since we walked in to the end of our meal we had excellent service from Todor. He was very accommodating to our son and to us as well. Every item we requested and how it was cooked was perfect. I had the Branzino cooked perfectly crispy on the skin and sauce on the side so as to not ruin the crispiness. Our table also had the raviolis and the NY Steak. All cooked perfectly. The desserts are great all made in house and it showed. We had the Tiramisu ( great ) and the Ricotta cheesecake. This cheesecake was like no other since it was light and airy. Lets just say nothing was left. We will return very soon. Everything was wonderful; the food, wine, service. Authentic Italian cuisine. Delicious! Best Brazilian sea bass I’ve ever had in North America! The service and food was excellent. Desi, our waiter was very professional and excellent. Nearly renovated but staff and menu stayed the same which was great. Food served timely, well paced and special request were fulfilled. It really is a neighborhood gem that can handle various group sizes as it has a separate dining room for group meetings or large groups. We love Avanti. I used to come there with my parents. It was their favorite restaurant. My brother and I still go there and we still love the food and the atmosphere. The food was delicious and our waiter, Desi, provided outstanding service! Food was outstanding and authentic Italian. Service was attentive. Highly recommend if you’re looking for great Italian food. What an amazing find! Impeccable service, delicious food, reasonable prices. Well worth it! Really pleased to find this on vacation but out of the way of noise etc of main drag. Very authentic Italian dishes. Large plentiful portions. Meatballs are a must! Great neighborhood restaurant with nice ambiance and staff.